We are extremely excited to host this rare and very special opportunity to relive some of Robert M. Parker, Jr.’s most extraordinary wine experiences of his 40-year career with the legend himself. For this 40th anniversary Gala Charity Dinner, Robert Parker has hand-chosen seventeen wines from his own cellar, where they have been impeccably stored since their release, all purchased by him directly from the wineries. This wine opportunity of a lifetime promises to be one of the most incredible nights for wine lovers, offering the chance to dine with the greatest wine critic that has ever lived and hear first-hand the story of his career journey and the wines he discovered along the way. Highlights include famed Parker discoveries such as 1986 Chateau Mouton-Rothschild, 1990 Paul Jaboulet Aine Hermitage La Chapelle and 2001 Shafer Hillside Select. The line-up of twenty wines served in seven flights includes ten perfect, 100-Point bottles. Daniel Boulud’s illustrious namesake restaurant in the heart of Manhattan, Daniel NYC, will play host to this night of pure hedonism with a sumptuous six-course tasting menu to pair with the wines. Proceeds from this event will be split between two charities of Parker’s choice: St Jude's Children's Hospital and The Independence Fund. With only sixty seats available in the private room at Daniel, interested guests must book soon to avoid disappointment. All dinner guests are invited and will receive VIP entry to the Grand Walkabout Tasting on Saturday, November 10th, at the Conrad New York. Robert M. Parker, Jr. was born in Baltimore, Maryland, on July 23, 1947. An honors graduate of the University of Maryland, with a major in History, and a minor in Art History, he attended the University of Maryland Law School, graduating in 1973. For ten and one half years he was an Attorney, a Senior Attorney, and later an Assistant General Counsel for the Farm Credit Banks of Baltimore. On March 9, 1984 he resigned his position as Assistant General Counsel to devote full attention to wine writing. His interest in wine began in 1967, when he spent a month abroad during his Christmas vacation, visiting a girlfriend (who is now his wife of 46 years) at the University of Strasbourg in Alsace, France. By 1975, he began to think about writing about wine and commencing his own “independent, consumer’s guide,” largely because of the paucity of reliable information on wine quality. Friends and family advised that his career in law should be given top priority, and that wine writing was a romantic, unprofitable profession. Nevertheless, by 1978, the concept of a wine publication was formulated. The first issue of The Wine Advocate, a complimentary issue, was sent out to mailing lists purchased from several major wine retailers. The initial number of charter subscribers in August, 1978, was less than 600. Thirty-five years later, The Wine Advocate has over 50,000 subscribers, in every state in the United States, and in over 37 foreign countries. Today, virtually every knowledgeable observer agrees that The Wine Advocate exerts the most significant influence on the serious wine consumer’s buying habits and trends not only in America, but in France, England, Switzerland, Japan, Taiwan, Singapore, Russia, Mexico, Brazil, and China. In addition to doing the writing and tasting for The Wine Advocate, which is published bi-monthly in Parkton, Maryland, Mr. Parker was a contributing editor for Food and Wine Magazine and Business Week. He has also written periodically for the English magazine The Field and has been the wine critic for France’s L’Express magazine, the first time a non-Frenchman has held this position. He has written a weekly column for the highly respected American magazine Business Week as well as Forbes. Robert Parker has been profiled in such major magazines as Time, Newsweek, Atlantic Monthly, People, Money, The Traveler, Changing Times, Esquire, GQ, Business Week, Smart Money, The Robb Report, notable newspapers such as The Los Angeles Times, USA Today,The Boston Globe, The New York Times, The Baltimore Sun, The London Sunday Times, The Sunday Telegraphe, The Independent, The Financial Times, Le Journal de Dimanche, andL’Express, and in virtually all of Europe’s leading magazines, including The Economist, Paris Match, and Figaro. Parker has also been profiled on CBS’s 60 Minutes II and is a frequent guest on PBS’s Charlie Rose Show. His writing philosophy has remained simple: to provide meaningful, comprehensive, independent, accurate, critical commentaries and opinions on fine wines and fine wine values. Robert M. Parker, Jr. is the only wine writer/critic in history to be given the highest Presidential Honors by two French presidents and an Italian President. On March 29, 1999, President Jacques Chirac signed a decree authorizing Robert M. Parker, Jr. to be a Chevalier dans l’Ordre de la Légion d’Honneur. He was decorated directly by President Jacques Chirac at a ceremony at the Elysée Palace on June 22, 1999. President Chirac, in bestowing France’s highest honor, stated that “Robert Parker is the most followed and influential critic of French wines in the world, something I (President Chirac) witnessed recently when choosing wine for President Clinton, who automatically referred to Robert Parker as his reference for making a proper wine buying decision.” On July 14, 2005, President Chirac promoted Parker to an “Officer” in France’s Legion of Honor, an extremely rare distinction, recognizing the extraordinary contribution he has made to the quality of wine writing, and the education of consumers around the world about French wines. In 1993, the late President François Mitterrand made Robert M. Parker, Jr. a Chevalier dans l’Ordre National du Mérite. In 2002, Parker was made a Commendatore (Commander) in Italy’s National Order of Merit. The country’s highest honor was bestowed on Mr. Parker by Prime Minister Berlusconi and President Ciampi for his contributions in recognizing the quality of Italian wine in addition to his educational efforts concerning Italian wines in his publication, The Wine Advocate. He is the first wine writer or critic in history to receive Italy’s highest honor. In 2002, he founded erobertparker.com, which has become the number one visited website on wine according to data registered by Alexia.com. 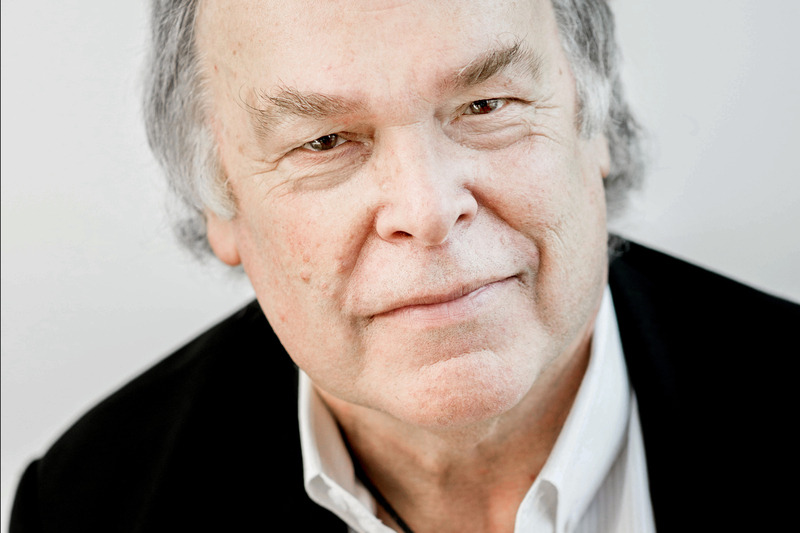 Robert M. Parker, Jr., who, in February, 1999, was profiled in a two part front page article in theLos Angeles Times by their Pulitzer Prize winning media critic, the late David Shaw, has written fourteen books on wine that have been best sellers not only in the United States, but also in their translated versions in France, Japan, Germany, Sweden, Poland, China, Spain, South Korea, and Russia. In the Los Angeles Times, Shaw called Parker “a fierce champion of the wine consumer,” “the most powerful critic of any kind, any where,” and “a sensualist, passionate lover of wine, who is largely responsible for the vastly improved quality of wines made throughout the western world and for the exponential growth in interest, knowledge, and sophistication of those who drink wine.” In 2004, the Culinary Institute of America created a legacy endowment for wine education scholarships in the name of Robert M. Parker, Jr. In 2005, Simon & Schuster published Robert Parker’s The World’s Greatest Wine Estates: A Modern Perspective. That book was followed in 2008 by the 7th edition of Parker’s Wine Buyer’s Guide, and in 2009 by Parker’s Wine Bargains: The World’s Best Wines Valued Under $25.00. In 2006, Parker’s alma mater, the University of Maryland, bestowed upon him the Distinguished Alumnus Award for 2006. In 2010, Mr. Parker became one of sixty-three graduates of the University of Maryland to be inducted into the University’s Alumnae Hall of Fame. In 2011, he became the first wine writer/critic to receive the Grand Cross of the Order of Civil Merit, the Gran Cruz de la Orden del Mérito Civil, Spain’s highest civilian honor, which was awarded by His Majesty King Juan Carlos and the government of Spain. This honor was awarded at a ceremony and reception in Madrid May, 2011. In February 2013, Mr. Parker became the first wine critic inducted into the Culinary Institute Of America’s Vintners Hall of Fame in Napa Valley. Mr. Parker currently covers the wines of Northern California and Bordeaux, and acts as a critic-at-large, conducting vertical tastings and horizontal tastings of older vintages of California and elsewhere. Robert Parker lives in the countryside of northern Maryland with his wife, Patricia, his daughter, Maia, and various basset hounds and English bulldogs.